The ORA Alpaca Cable Rib Cowl Purple and Black is a bold combination of colours using soft natural mahogany black alpaca with rich electric purple mohair and a variegated mix of gold, blues, burgundy and purple silks. 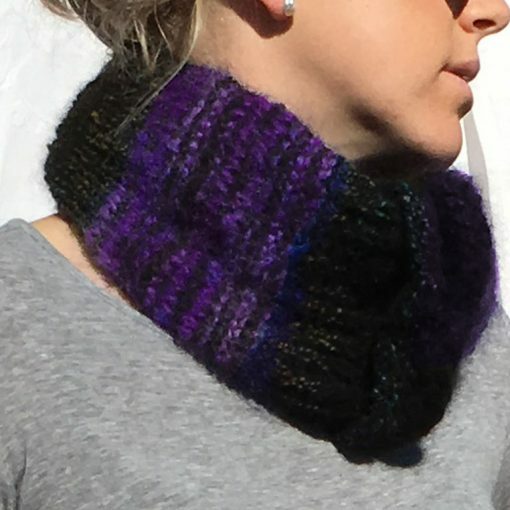 The cables and ribs in the Alpaca Cable Rib Cowl Purple and Black add texture and interest to the design. 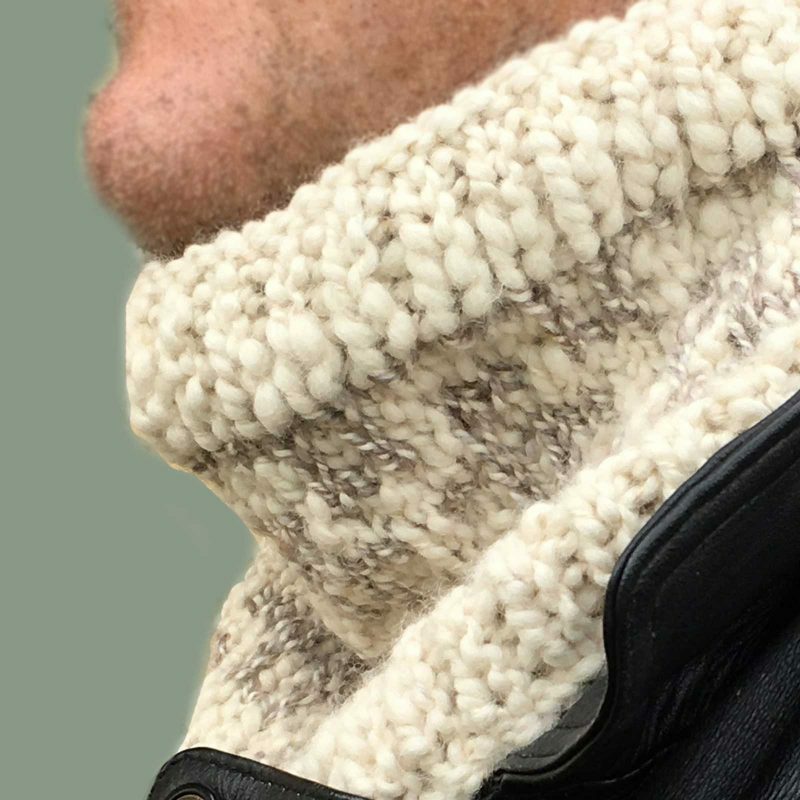 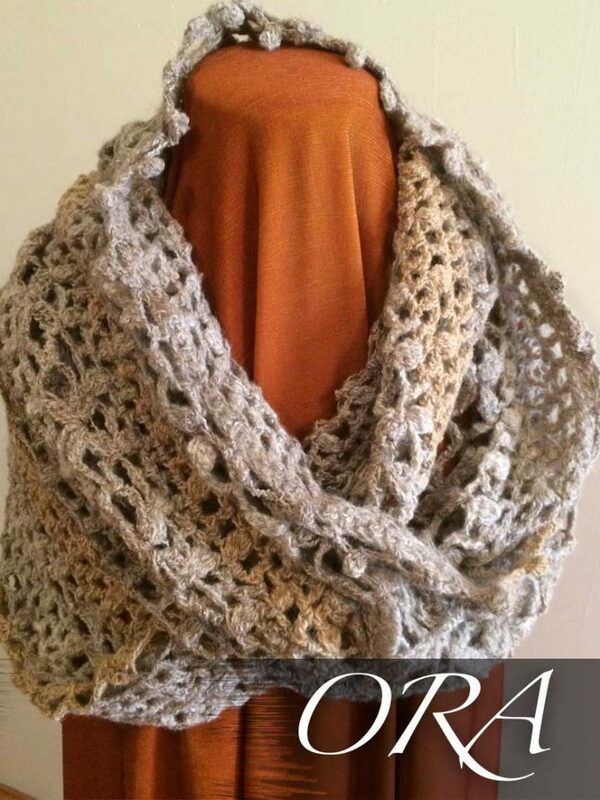 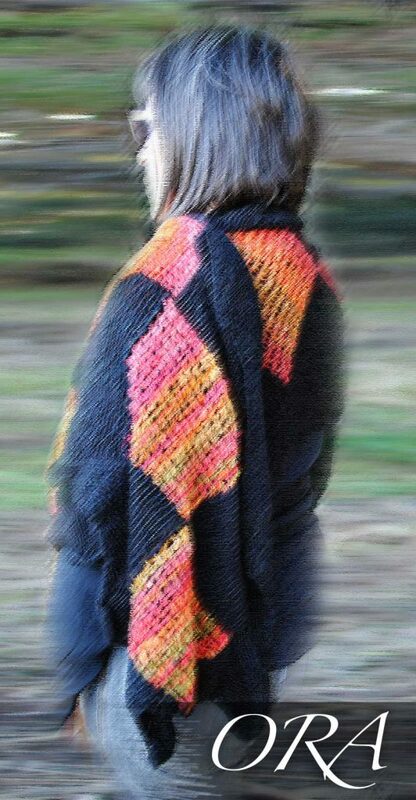 The irregular width of this cable and rib cowl design allows it to be worn long and loosely or wrapped around the neck for cosy warmth. 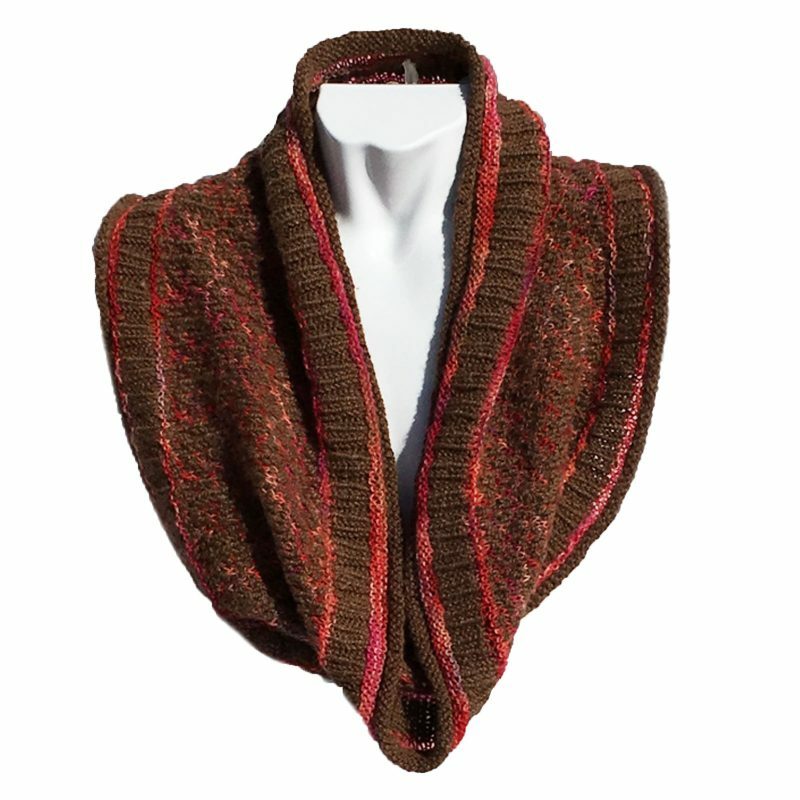 Or it can be worn off the shoulder with artistic flair. 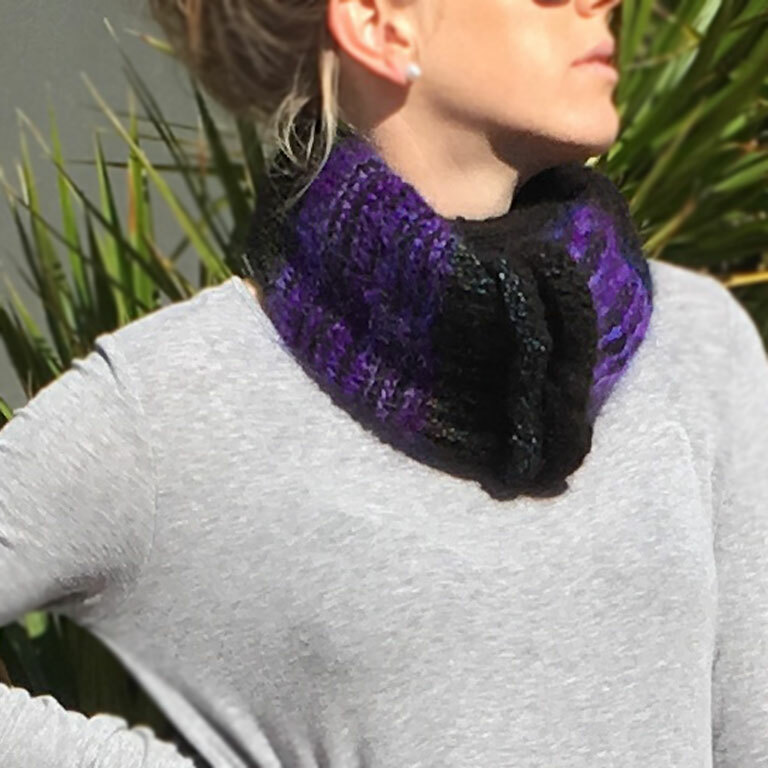 This Alpaca Cable Rib Cowl Purple and Black will add interest to a casual outfit or unique style for more formal occasions. 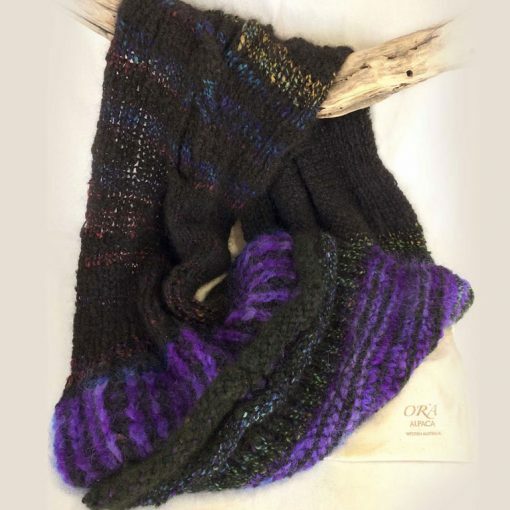 The ORA Signature Yarn used for the Alpaca Cable Rib Cowl Purple and Black has been hand spun using deliciously soft baby alpaca in a deep brown black colour commonly known as mahogany. 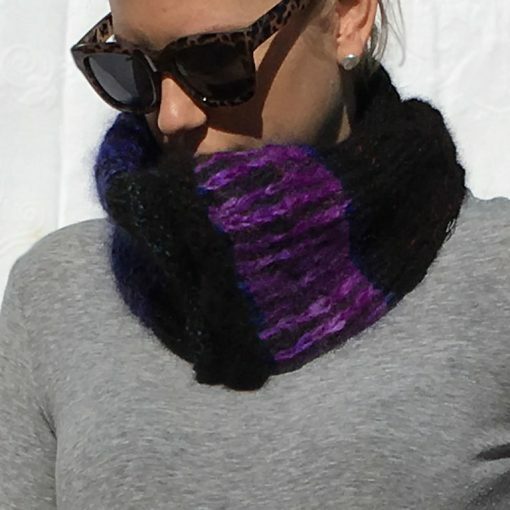 The variegated silks and stunning electric purple mohair have been hand dyed separately and complement the mahogany black baby alpaca beautifully. The Alpaca Cable Rib Cowl Purple and Black is shown on our size 8 model and is suitable for any size. 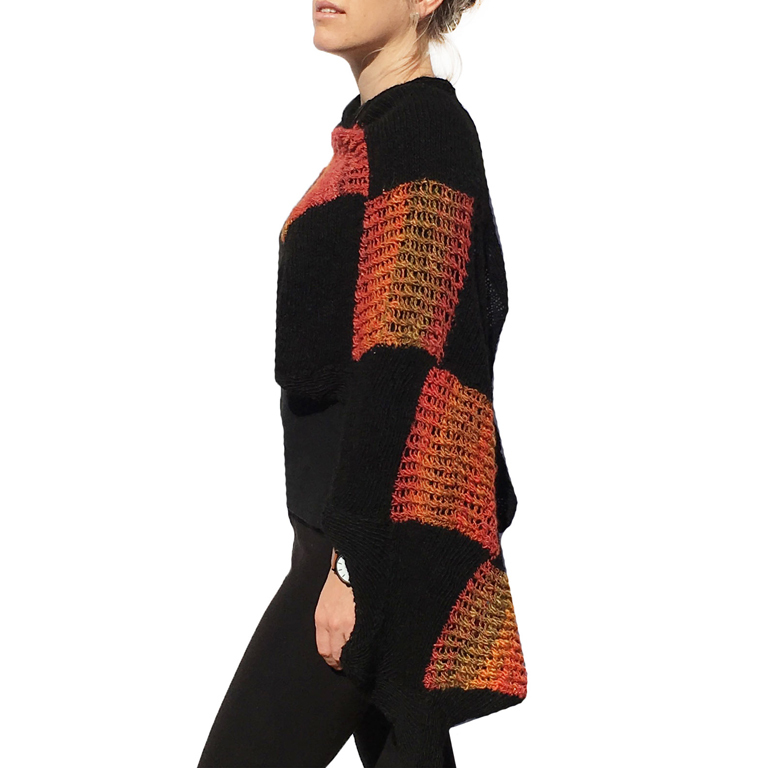 Helpful Note: Like photographing an exotic rare diamond in the hope of capturing its true sparking opulence; this particular garment has been difficult to photograph when attempting to capture its opulent color and true beauty.